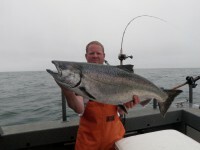 We will normally fish for salmon the first 2/3 of the day once we have caught the salmon we are looking for we run to our bottom fishing spots to pick up our limits of rock fish and a few lings. 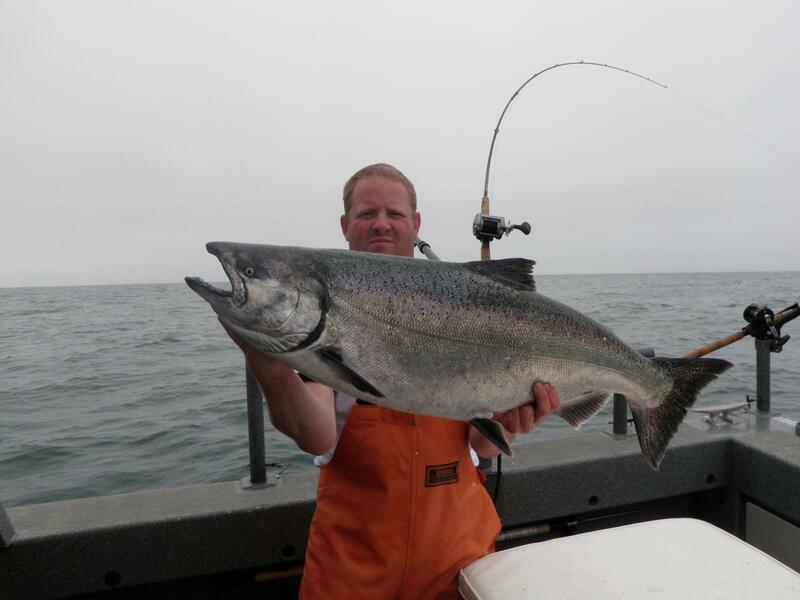 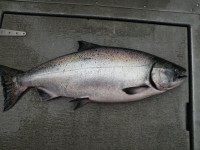 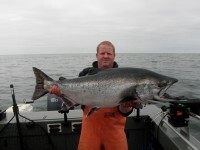 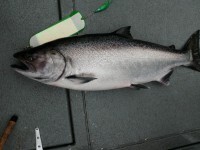 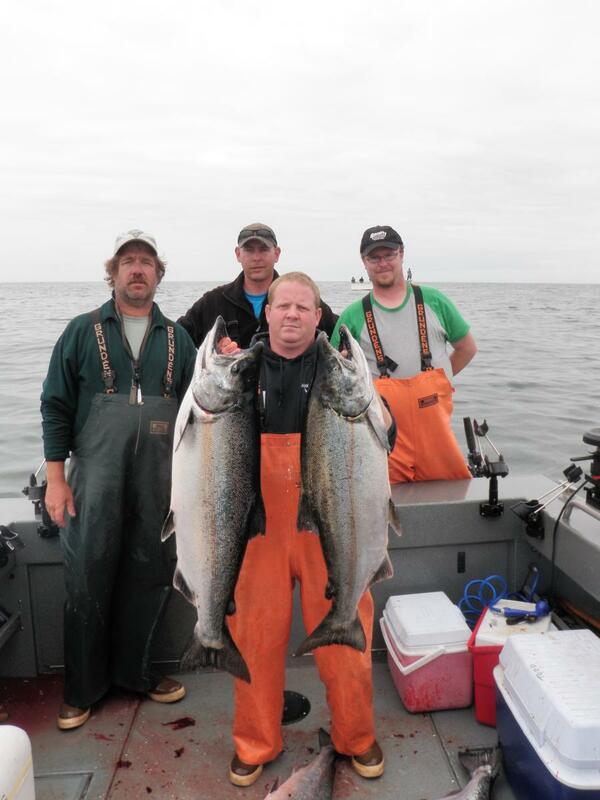 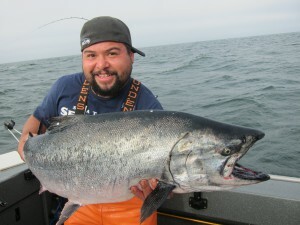 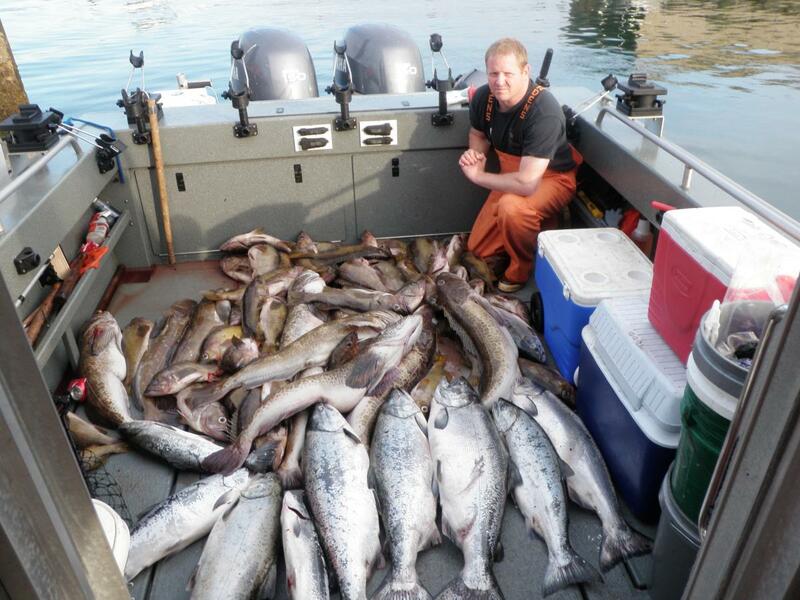 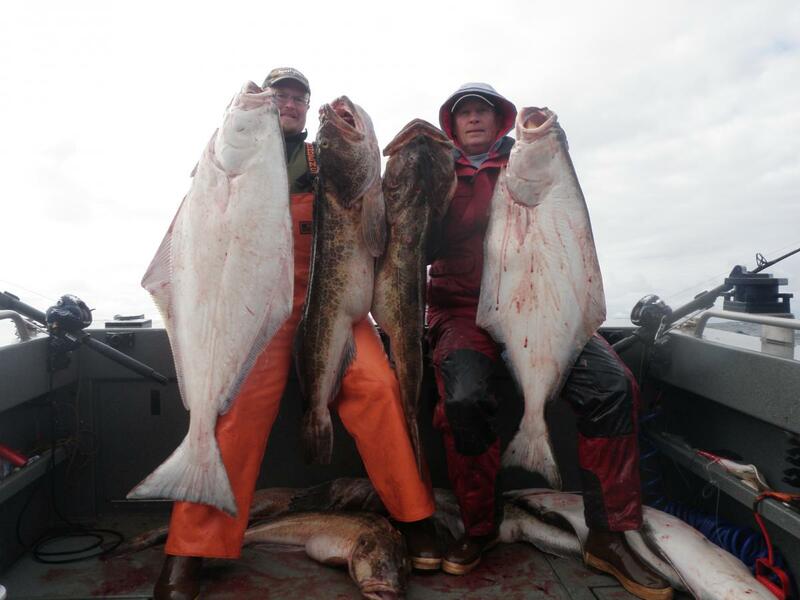 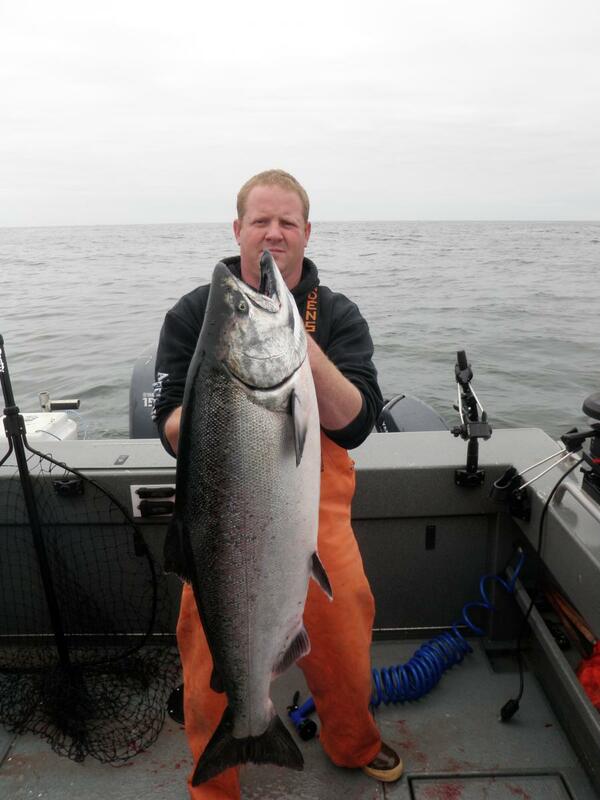 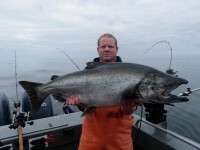 Opens in June and runs through September most years The limit is usually two salmon per day and they are normally easy to catch especially in July and august which is prime time for kings. 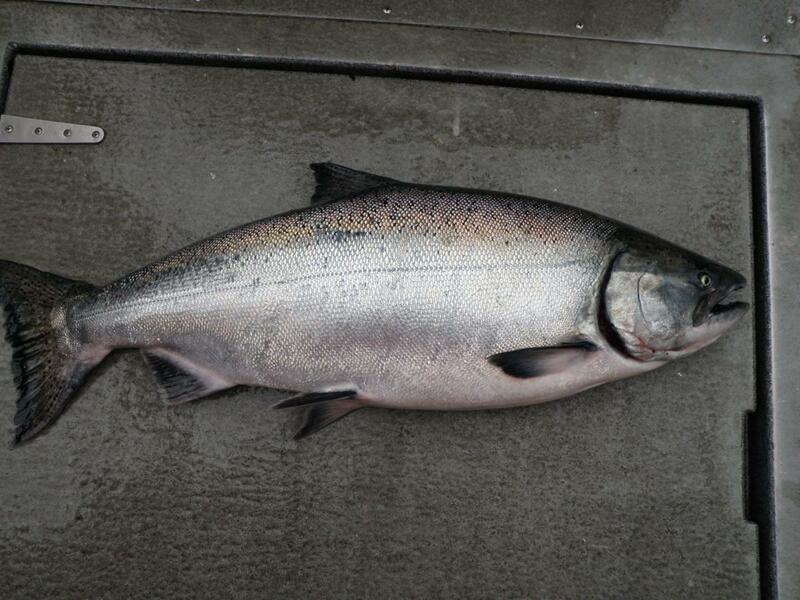 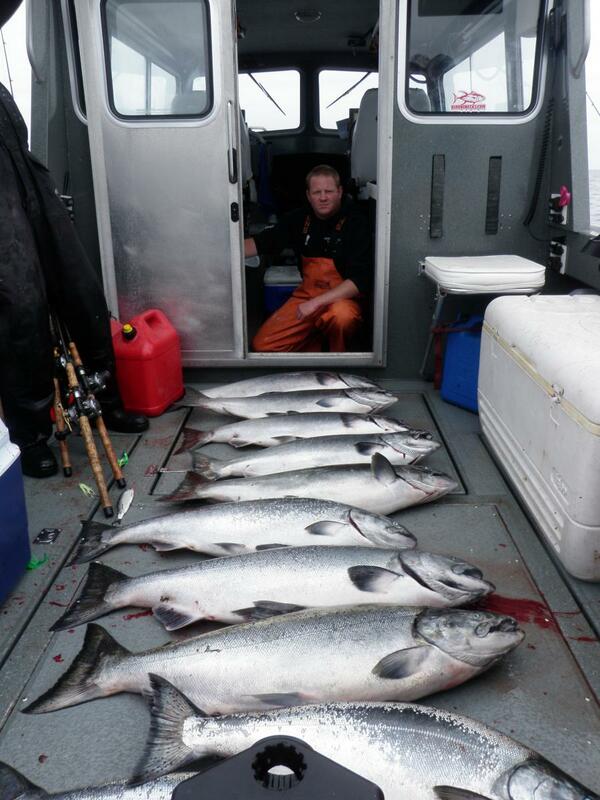 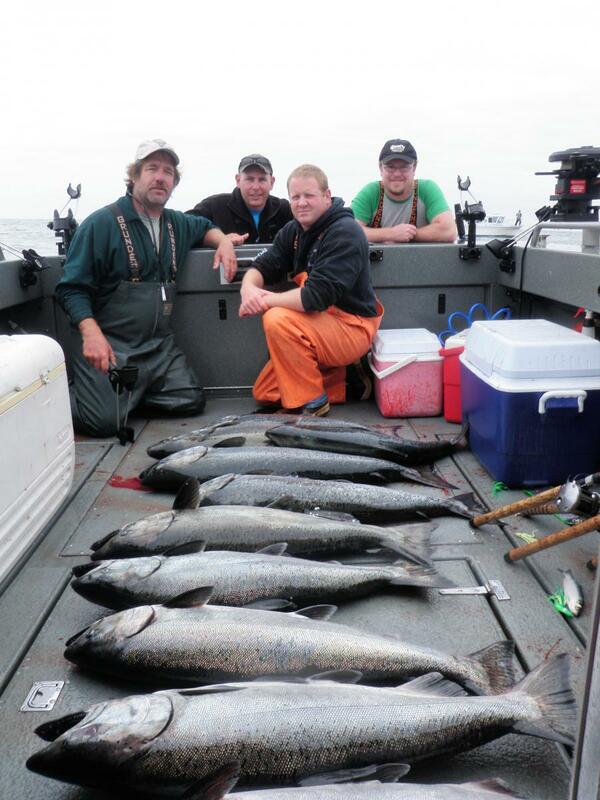 We fish for salmon by trolling both down riggers and surface lines. 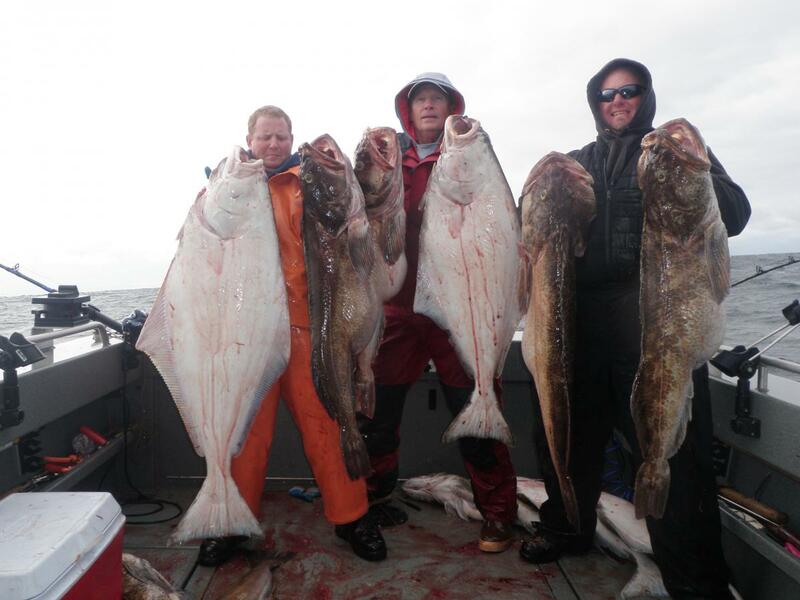 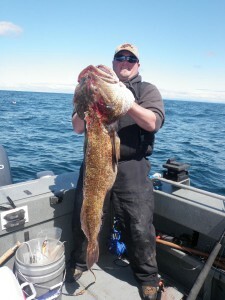 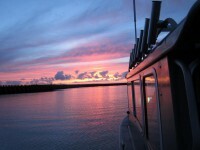 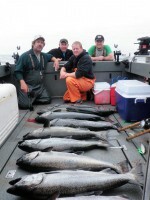 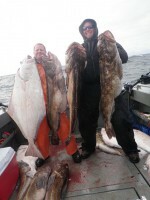 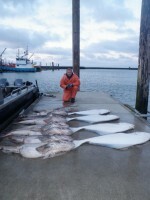 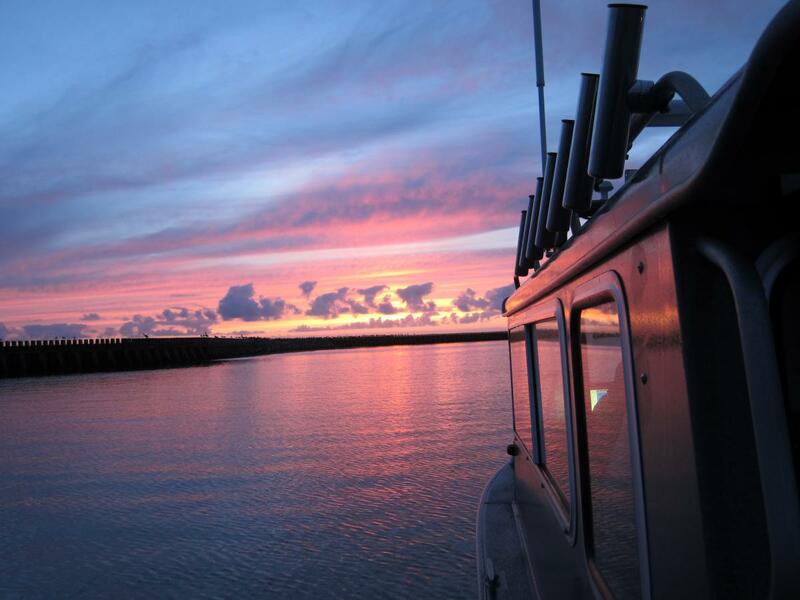 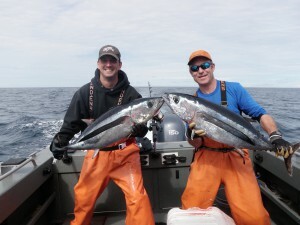 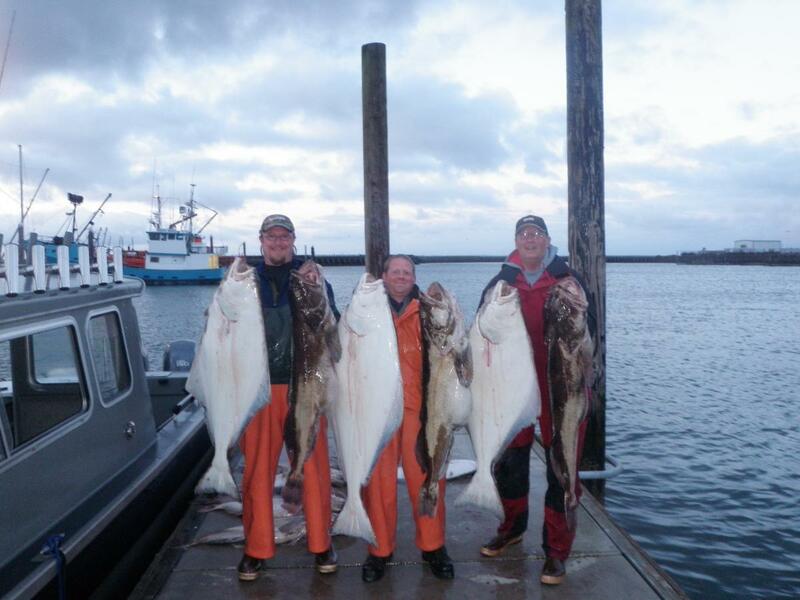 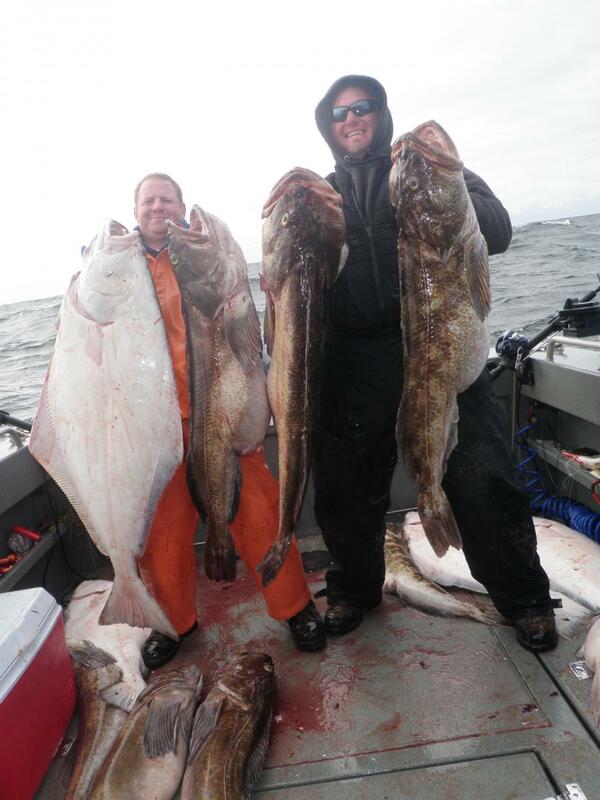 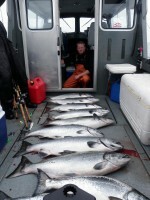 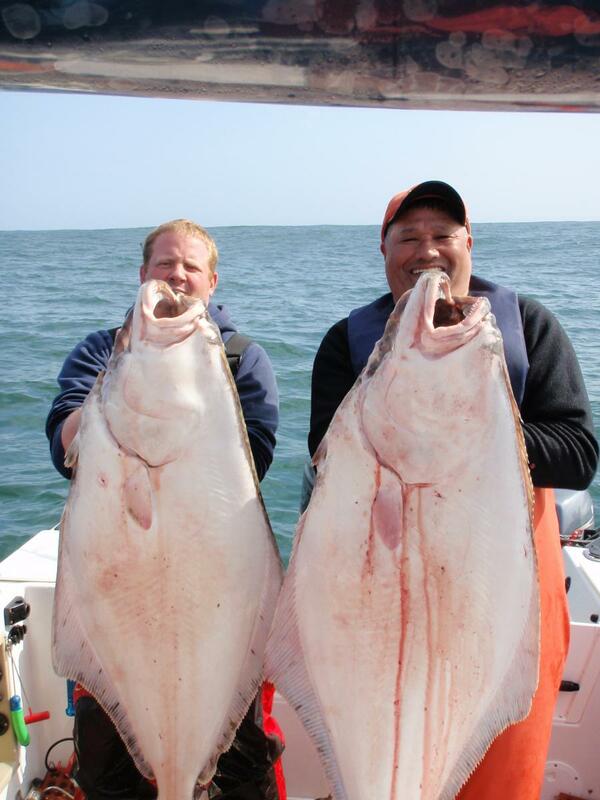 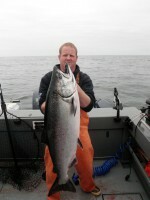 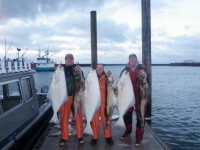 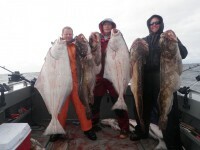 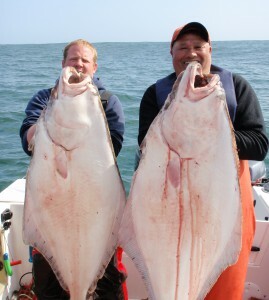 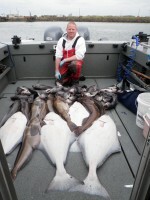 Most or our fishing is done several miles off shore in 150 to 400 feet of water. It is not unusual to have multiple salmon on at the same time.